$8,625 off MSRP! 2018 Ford F-250SD Platinum Citrus Motors Ford, Where No Pressure Means A Great Deal! Call to confirm availability and setup your appointment today! 888-399-0475. We are located at: 1375 S Woodruff Way Ontario, CA 91761 www.CitrusFord.com. **GPS/ NAVI / NAVIGATION**, **SUNROOF / MOONROOF**, Electronic-Locking w/3.55 Axle Ratio, 10 Speakers, 110V/400W Outlet, 20" Polished Aluminum Wheels, 4-Wheel Disc Brakes, ABS brakes, Adaptive Cruise Control & Collision Warning, Adjustable pedals, Air Conditioning, Alloy wheels, AM/FM radio: SiriusXM, Auto High-beam Headlights, Auto tilt-away steering wheel, Auto-dimming Rear-View mirror, Automatic temperature control, Blind spot sensor: BLIS warning, Brake assist, Bumpers: body-color, CD player, Compass, Delay-off headlights, Driver door bin, Driver vanity mirror, Dual Extra Heavy-Duty Alternators (Total 377-Amps), Dual front impact airbags, Dual front side impact airbags, Electronic Stability Control, Engine Block Heater, Exterior Parking Camera Rear, Flow-Through Console, Front anti-roll bar, Front Bucket Seats, Front Center Armrest, Front dual zone A/C, Front fog lights, Front reading lights, Fully automatic headlights, FX4 Off-Road Package, Garage door transmitter, GVWR: 10,000 lb Payload Package, Heated door mirrors, Heated front seats, Heated rear seats, Heated steering wheel, Hill Descent Control, Illuminated entry, Lane-Keeping Alert, Leather steering wheel, Low tire pressure warning, Memory seat, Navigation System, Order Code 703A, Outside temperature display, Overhead airbag, Overhead console, Panic alarm, Passenger door bin, Passenger vanity mirror, Pedal memory, Platinum Ultimate Package, Power door mirrors, Power driver seat, Power passenger seat, Power steering, Power windows, Radio data system, Radio: Premium Sony Audio w/Single-CD/MP3 Player, Rain sensing wipers, Rear Parking Sensors, Rear reading lights, Rear seat center armrest, Rear step bumper, Rear window defroster, Remote keyless entry, Security system, SiriusXM Radio, Speed control, Speed-sensing steering, Split folding rear seat, Steering wheel memory, Steering wheel mounted A/C controls, Steering wheel mounted audio controls, SYNC 3 Communications & Entertainment System, Tachometer, Telescoping steering wheel, Tilt steering wheel, Traction control, Trip computer, Turn signal indicator mirrors, Twin Panel Power Moonroof, Ultimate Trailer Tow Camera System, Unique Platinum Leather 40/Console/40 Seats, Upfitter Switches (6), Variably intermittent wipers, Ventilated front seats, Electronic-Locking w/3.55 Axle Ratio. *Price does not include any dealer installed options. Some rebates require qualification. Price applies to retail and finance. Not all rebates can be combined with 0% financing. Price includes: $1,500 - Retail Customer Cash. Exp. 07/01/2019, $500 - Select Inventory Retail Customer Cash. Exp. 07/01/2019 $3,677 off MSRP! 2019 Ford Mustang GT Citrus Motors Ford, Where No Pressure Means A Great Deal! Call to confirm availability and setup your appointment today! 888-399-0475. We are located at: 1375 S Woodruff Way Ontario, CA 91761 www.CitrusFord.com. Black GT, 5.0 & Pony Badges, Dual-Zone Automatic Temperature Control, Exterior Parking Camera Rear, Front fog lights, Painted Black Roof, Rear Parking Sensors, SYNC 3 Communications & Entertainment System, 3.15 Limited Slip Rear Axle Ratio, 4-Wheel Disc Brakes, 6 Speakers, ABS brakes, Air Conditioning, AM/FM radio, AM/FM Stereo, AM/FM Stereo w/MP3 Player, Auto-dimming Rear-View mirror, Black Accent Package, Black Decklid Spoiler, Brake assist, Bumpers: body-color, Cloth Bucket Seats, Compass, Delay-off headlights, Driver door bin, Driver vanity mirror, Dual front impact airbags, Dual front side impact airbags, Electronic Stability Control, Emergency communication system: 911 Assist, Equipment Group 301A, Four wheel independent suspension, Front anti-roll bar, Front Bucket Seats, Front Center Armrest, Front reading lights, Fully automatic headlights, Illuminated entry, Knee airbag, Low tire pressure warning, Occupant sensing airbag, Outside temperature display, Overhead airbag, Overhead console, Panic alarm, Passenger door bin, Passenger vanity mirror, Power door mirrors, Power driver seat, Power passenger seat, Power steering, Power windows, Radio data system, Rear anti-roll bar, Rear window defroster, Remote keyless entry, Security system, SiriusXM Radio, Speed control, Speed-sensing steering, Speed-Sensitive Wipers, Split folding rear seat, Spoiler, Steering wheel mounted audio controls, SYNC Communications & Entertainment System, Tachometer, Telescoping steering wheel, Tilt steering wheel, Traction control, Trip computer, Variably intermittent wipers, Voltmeter, Wheels: 19" x 8.5" Ebony Black-Painted Aluminum, MyColor, Black GT, 5.0 & Pony Badges, Dual-Zone Automatic Temperature Control, Exterior Parking Camera Rear, Front fog lights, Painted Black Roof, Rear Parking Sensors, SYNC 3 Communications & Entertainment System. *Price does not include any dealer installed options. Some rebates require qualification. Price applies to retail and finance. Not all rebates can be combined with 0% financing. Price includes: $2,000 - Retail Customer Cash. Exp. 07/01/2019, $1,000 - Ford Credit Retail Bonus Customer Cash. Exp. 07/01/2019, $500 - Select Inventory Retail Customer Cash. Exp. 07/01/2019 $5,498 off MSRP! 2019 Ford Explorer Citrus Motors Ford, Where No Pressure Means A Great Deal! Call to confirm availability and setup your appointment today! 888-399-0475. We are located at: 1375 S Woodruff Way Ontario, CA 91761 www.CitrusFord.com. 18" Painted Aluminum Wheels, 3.39 Non-Limited-Slip Axle Ratio, 3rd row seats: split-bench, 4-Wheel Disc Brakes, 6 Speakers, ABS brakes, Air Conditioning, AM/FM radio, AM/FM Stereo, Brake assist, Bumpers: body-color, Cloth Bucket Seats, Compass, Delay-off headlights, Driver door bin, Driver vanity mirror, Dual front impact airbags, Dual front side impact airbags, Electronic Stability Control, Emergency communication system: 911 Assist, Equipment Group 100A, Exterior Parking Camera Rear, Four wheel independent suspension, Front anti-roll bar, Front Bucket Seats, Front Center Armrest, Front License Plate Bracket, Front reading lights, Fully automatic headlights, Heated door mirrors, Illuminated entry, Knee airbag, Low tire pressure warning, Occupant sensing airbag, Outside temperature display, Overhead airbag, Overhead console, Panic alarm, Passenger door bin, Passenger vanity mirror, Power door mirrors, Power driver seat, Power steering, Power windows, Rear air conditioning, Rear anti-roll bar, Rear reading lights, Rear window defroster, Rear window wiper, Remote keyless entry, Roof rack: rails only, Speed control, Speed-sensing steering, Speed-Sensitive Wipers, Split folding rear seat, Spoiler, Steering wheel mounted audio controls, SYNC Communication & Entertainment System, Tachometer, Telescoping steering wheel, Tilt steering wheel, Traction control, Trip computer, Variably intermittent wipers. *Price does not include any dealer installed options. Some rebates require qualification. Price applies to retail and finance. Not all rebates can be combined with 0% financing. Price includes: $1,500 - Retail Customer Cash. Exp. 05/31/2019, $1,000 - Ford Credit Retail Bonus Customer Cash. Exp. 05/31/2019, $1,500 - Retail Bonus Customer Cash. Exp. 07/01/2019, $500 - Select Inventory Retail Customer Cash. Exp. 06/02/2019, $1,000 - Retail Trade-In Assistance Bonus Cash. Exp. 05/31/2019 $8,938 off MSRP! 2018 Ford F-150 XL Citrus Motors Ford, Where No Pressure Means A Great Deal! Call to confirm availability and setup your appointment today! 888-399-0475. We are located at: 1375 S Woodruff Way Ontario, CA 91761 www.CitrusFord.com. 4.2" Productivity Screen in Instrument Cluster, Cruise Control, Equipment Group 101A Mid, Illuminated Entry, MyKey, Perimeter Alarm, Power Door Locks, Power Front & Rear Windows, Power Glass Sideview Mirrors w/Black Skull Caps, Power Tailgate Lock, Radio: AM/FM Stereo/Single-CD Player, SYNC, XL Power Equipment Group, 3.55 Axle Ratio, 4-Wheel Disc Brakes, 6 Speakers, ABS brakes, Air Conditioning, AM/FM radio, Brake assist, Class IV Trailer Hitch Receiver, Cloth 40/20/40 Front Seat, Compass, Delay-off headlights, Driver door bin, Dual front impact airbags, Dual front side impact airbags, Electronic Stability Control, Fog Lamps, Front anti-roll bar, Front Center Armrest, Front License Plate Bracket, Front wheel independent suspension, Fully automatic headlights, GVWR: 6,300 lbs Payload Package, Low tire pressure warning, Occupant sensing airbag, Outside temperature display, Overhead airbag, Passenger door bin, Passenger vanity mirror, Power steering, Radio: AM/FM Stereo w/6 Speakers, Rear step bumper, Speed-sensing steering, Split folding rear seat, Tachometer, Telescoping steering wheel, Tilt steering wheel, Traction control, Variably intermittent wipers, Voltmeter, Wheels: 17" Silver Painted Aluminum, Wheels: 17" Silver Steel, XL Sport Appearance Package, 4.2" Productivity Screen in Instrument Cluster, Cruise Control, Equipment Group 101A Mid, Illuminated Entry, MyKey, Perimeter Alarm, Power Door Locks, Power Front & Rear Windows, Power Glass Sideview Mirrors w/Black Skull Caps, Power Tailgate Lock, Radio: AM/FM Stereo/Single-CD Player, SYNC, XL Power Equipment Group. *Price does not include any dealer installed options. Some rebates require qualification. Price applies to retail and finance. Not all rebates can be combined with 0% financing. Price includes: $2,000 - Retail Customer Cash. Exp. 07/01/2019, $1,000 - Ford Credit Retail Bonus Customer Cash. Exp. 07/01/2019, $500 - Select Inventory Retail Customer Cash. Exp. 07/01/2019 $6,337 off MSRP! 2019 Ford Explorer XLT Citrus Motors Ford, Where No Pressure Means A Great Deal! Call to confirm availability and setup your appointment today! 888-399-0475. We are located at: 1375 S Woodruff Way Ontario, CA 91761 www.CitrusFord.com. 3.39 Non-Limited-Slip Axle Ratio, 3rd row seats: split-bench, 4-Wheel Disc Brakes, 6 Speakers, ABS brakes, ActiveX Seating Material Heated Front Bucket Seats, Air Conditioning, AM/FM radio: SiriusXM, AM/FM Stereo, Black Roof Rack Side Rails, Brake assist, Bumpers: body-color, Compass, Delay-off headlights, Driver door bin, Driver vanity mirror, Dual front impact airbags, Dual front side impact airbags, Electronic Stability Control, Emergency communication system: 911 Assist, Equipment Group 202A, Exterior Parking Camera Rear, Four wheel independent suspension, Front anti-roll bar, Front Bucket Seats, Front Center Armrest, Front License Plate Bracket, Front reading lights, Fully automatic headlights, Heated door mirrors, Heated Steering Wheel, Illuminated entry, Knee airbag, Leather steering wheel, Leather-Trimmed Bucket Seats, LED Fog Lamps, Low tire pressure warning, Lower Bodyside Cladding Insert, Magnetic Met-Painted Grille Bars w/Mesh Insert, Occupant sensing airbag, Outside temperature display, Overhead airbag, Overhead console, Panic alarm, Passenger door bin, Passenger vanity mirror, Power door mirrors, Power driver seat, Power passenger seat, Power steering, Power windows, Rear air conditioning, Rear anti-roll bar, Rear Parking Sensors, Rear reading lights, Rear seat center armrest, Rear window defroster, Rear window wiper, Remote keyless entry, Remote Start System, Roof rack: rails only, Security system, Speed control, Speed-sensing steering, Speed-Sensitive Wipers, Split folding rear seat, Spoiler, Steering wheel mounted audio controls, SYNC Communication & Entertainment System, Tachometer, Telescoping steering wheel, Tilt steering wheel, Traction control, Trip computer, Unique Cloth Bucket Seats, Variably intermittent wipers, Wheels: 18" 5-Spoke Sparkle Silver-Painted Alum, XLT Sport Appearance Package, XLT Technology Feature Bundle. *Price does not include any dealer installed options. Some rebates require qualification. Price applies to retail and finance. Not all rebates can be combined with 0% financing. Price includes: $2,000 - Retail Customer Cash. Exp. 07/01/2019, $1,000 - Ford Credit Retail Bonus Customer Cash. Exp. 07/01/2019, $500 - Select Inventory Retail Customer Cash. Exp. 07/01/2019 $7,811 off MSRP! 2019 Ford Explorer Sport Citrus Motors Ford, Where No Pressure Means A Great Deal! Call to confirm availability and setup your appointment today! 888-399-0475. We are located at: 1375 S Woodruff Way Ontario, CA 91761 www.CitrusFord.com. 110V/150W AC Power Outlet, 12 Speakers, 2nd Row Heated Seats, 3.16 Non-Limited Slip Axle Ratio, 3rd row seats: split-bench, 4-Wheel Disc Brakes, ABS brakes, Adaptive Cruise Control & Fwd Collision Warning, Air Conditioning, Alloy wheels, AM/FM radio: SiriusXM, Ambient Lighting, Auto High-Beam Headlights, Auto-dimming Rear-View mirror, Automatic temperature control, Blind spot sensor: Ford Co-Pilot360 - Blind Spot Information System (BLIS) warning, Brake assist, Bumpers: body-color, Compass, Delay-off headlights, Driver door bin, Driver vanity mirror, Dual 2nd Row Smart Charging USB, Dual front impact airbags, Dual front side impact airbags, Electronic Stability Control, Emergency communication system: 911 Assist, Equipment Group 401A, Exterior Parking Camera Rear, Ford Safe & Smart Package, Four wheel independent suspension, Front 180 Degree Camera w/Split View & Washer, Front anti-roll bar, Front Bucket Seats, Front Center Armrest, Front dual zone A/C, Front fog lights, Front License Plate Bracket, Front reading lights, Fully automatic headlights, Heated door mirrors, Heated front seats, Heated steering wheel, Illuminated entry, Inflatable Rear Safety Belts, Knee airbag, Lane-Keeping System, Leather steering wheel, Low tire pressure warning, Memory Feature, Navigation System, Occupant sensing airbag, Outside temperature display, Overhead airbag, Overhead console, Panic alarm, Passenger door bin, Passenger vanity mirror, Perforated Leather Heated Bucket Seats, Perforated Leather Heated/Cooled Bucket Seats, Power & Heated Glass Sideview Mirrors, Power door mirrors, Power driver seat, Power Liftgate, Power passenger seat, Power steering, Power Tilt/Telescoping Steering Wheel, Power windows, Premium audio system: Sony, Radio data system, Radio: Premium Sound from Sony, Radio: Sony Audio System, Rain-Sensing Wipers (Front Only), Rear air conditioning, Rear anti-roll bar, Rear reading lights, Rear seat center armrest, Rear window defroster, Rear window wiper, Remote Control Front Windows, Remote keyless entry, Roof rack: rails only, Security system, Speed control, Speed-sensing steering, Speed-Sensitive Wipers, Split folding rear seat, Spoiler, Steering wheel mounted audio controls, SYNC 3 Communications & Entertainment System, Tachometer, Telescoping steering wheel, Tilt steering wheel, Traction control, Trip computer, Turn signal indicator mirrors, Twin Panel Moonroof, Universal Garage Door Opener (UGDO), Variably intermittent wipers. *Price does not include any dealer installed options. Some rebates require qualification. Price applies to retail and finance. Not all rebates can be combined with 0% financing. Price includes: $2,000 - Retail Customer Cash. Exp. 07/01/2019, $1,000 - Ford Credit Retail Bonus Customer Cash. Exp. 07/01/2019, $500 - Select Inventory Retail Customer Cash. Exp. 07/01/2019 $7,868 off MSRP! 2019 Ford Explorer Sport Citrus Motors Ford, Where No Pressure Means A Great Deal! Call to confirm availability and setup your appointment today! 888-399-0475. We are located at: 1375 S Woodruff Way Ontario, CA 91761 www.CitrusFord.com. 110V/150W AC Power Outlet, 12 Speakers, 20" Machined Aluminum w/Painted Pockets Wheels, 2nd Row Heated Seats, 3.16 Non-Limited Slip Axle Ratio, 3rd row seats: split-bench, 4-Wheel Disc Brakes, ABS brakes, Adaptive Cruise Control & Fwd Collision Warning, Air Conditioning, Alloy wheels, AM/FM radio: SiriusXM, Ambient Lighting, Auto High-Beam Headlights, Auto-dimming Rear-View mirror, Automatic temperature control, Blind spot sensor: Ford Co-Pilot360 - Blind Spot Information System (BLIS) warning, Brake assist, Bumpers: body-color, Compass, Delay-off headlights, Driver door bin, Driver vanity mirror, Dual 2nd Row Smart Charging USB, Dual front impact airbags, Dual front side impact airbags, Electronic Stability Control, Emergency communication system: 911 Assist, Equipment Group 401A, Exterior Parking Camera Rear, Ford Safe & Smart Package, Four wheel independent suspension, Front 180 Degree Camera w/Split View & Washer, Front anti-roll bar, Front Bucket Seats, Front Center Armrest, Front dual zone A/C, Front fog lights, Front License Plate Bracket, Front reading lights, Fully automatic headlights, Heated door mirrors, Heated front seats, Heated steering wheel, Illuminated entry, Inflatable Rear Safety Belts, Knee airbag, Lane-Keeping System, Leather steering wheel, Low tire pressure warning, Memory Feature, Navigation System, Occupant sensing airbag, Outside temperature display, Overhead airbag, Overhead console, Panic alarm, Passenger door bin, Passenger vanity mirror, Perforated Leather Heated Bucket Seats, Perforated Leather Heated/Cooled Bucket Seats, Power & Heated Glass Sideview Mirrors, Power door mirrors, Power driver seat, Power Liftgate, Power passenger seat, Power steering, Power Tilt/Telescoping Steering Wheel, Power windows, Premium audio system: Sony, Radio data system, Radio: Premium Sound from Sony, Radio: Sony Audio System, Rain-Sensing Wipers (Front Only), Rear air conditioning, Rear anti-roll bar, Rear reading lights, Rear seat center armrest, Rear window defroster, Rear window wiper, Remote Control Front Windows, Remote keyless entry, Roof rack: rails only, Security system, Speed control, Speed-sensing steering, Speed-Sensitive Wipers, Split folding rear seat, Spoiler, Steering wheel mounted audio controls, SYNC 3 Communications & Entertainment System, Tachometer, Telescoping steering wheel, Tilt steering wheel, Traction control, Trip computer, Turn signal indicator mirrors, Twin Panel Moonroof, Universal Garage Door Opener (UGDO), Variably intermittent wipers. *Price does not include any dealer installed options. Some rebates require qualification. Price applies to retail and finance. Not all rebates can be combined with 0% financing. Price includes: $2,250 - Retail Customer Cash. Exp. 07/01/2019, $500 - Select Inventory Retail Customer Cash. Exp. 07/01/2019 $5,404 off MSRP! 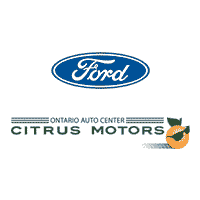 2019 Ford Transit-250 Citrus Motors Ford, Where No Pressure Means A Great Deal! Call to confirm availability and setup your appointment today! 888-399-0475. We are located at: 1375 S Woodruff Way Ontario, CA 91761 www.CitrusFord.com. 2 Additional Keys (4 Total), 3.73 Axle Ratio, 3.73 Axle Ratio w/99G, 4 Front Speakers, 4 Speakers, 4-Wheel Disc Brakes, ABS brakes, Air Conditioning, AM/FM radio, AM/FM Stereo, Brake assist, Cloth Front Bucket Seats, Driver door bin, Driver's Seat Mounted Armrest, Dual front impact airbags, Dual front side impact airbags, Electronic Stability Control, Exterior Parking Camera Rear, Front & Rear Vinyl Floor Covering, Front anti-roll bar, Front Bucket Seats, Front License Plate Bracket, Front reading lights, Front wheel independent suspension, Illuminated entry, Low tire pressure warning, Occupant sensing airbag, Order Code 101A, Overhead airbag, Overhead console, Panic alarm, Passenger cancellable airbag, Passenger door bin, Pewter Vinyl Dual Bucket Seats, Power door mirrors, Power steering, Power windows, Remote keyless entry, Reverse Sensing System, Short-Arm Power Mirrors, Tachometer, Telescoping steering wheel, Tilt steering wheel, Traction control, Variably intermittent wipers, Vinyl Front Bucket Seats, Wheels: 16" Steel w/Black Center Hubcap. *Price does not include any dealer installed options. Some rebates require qualification. Price applies to retail and finance. Not all rebates can be combined with 0% financing. Price includes: $2,000 - Retail Customer Cash. Exp. 07/01/2019, $1,000 - Ford Credit Retail Bonus Customer Cash. Exp. 07/01/2019, $500 - Select Inventory Retail Customer Cash. Exp. 07/01/2019 $7,288 off MSRP! 2019 Ford Explorer Sport Citrus Motors Ford, Where No Pressure Means A Great Deal! Call to confirm availability and setup your appointment today! 888-399-0475. We are located at: 1375 S Woodruff Way Ontario, CA 91761 www.CitrusFord.com. 110V/150W AC Power Outlet, 12 Speakers, 20" Machined Aluminum w/Painted Pockets Wheels, 2nd Row Heated Seats, 3.16 Non-Limited Slip Axle Ratio, 3rd row seats: split-bench, 4-Wheel Disc Brakes, ABS brakes, Adaptive Cruise Control & Fwd Collision Warning, Air Conditioning, Alloy wheels, AM/FM radio: SiriusXM, Ambient Lighting, Auto High-Beam Headlights, Auto-dimming Rear-View mirror, Automatic temperature control, Blind spot sensor: Ford Co-Pilot360 - Blind Spot Information System (BLIS) warning, Brake assist, Bumpers: body-color, Compass, Delay-off headlights, Driver door bin, Driver vanity mirror, Dual 2nd Row Smart Charging USB, Dual front impact airbags, Dual front side impact airbags, Electronic Stability Control, Emergency communication system: 911 Assist, Equipment Group 401A, Exterior Parking Camera Rear, Ford Safe & Smart Package, Four wheel independent suspension, Front 180 Degree Camera w/Split View & Washer, Front anti-roll bar, Front Bucket Seats, Front Center Armrest, Front dual zone A/C, Front fog lights, Front License Plate Bracket, Front reading lights, Fully automatic headlights, Heated door mirrors, Heated front seats, Heated steering wheel, Illuminated entry, Inflatable Rear Safety Belts, Knee airbag, Lane-Keeping System, Leather steering wheel, Low tire pressure warning, Memory Feature, Navigation System, Occupant sensing airbag, Outside temperature display, Overhead airbag, Overhead console, Panic alarm, Passenger door bin, Passenger vanity mirror, Perforated Leather Heated Bucket Seats, Perforated Leather Heated/Cooled Bucket Seats, Power & Heated Glass Sideview Mirrors, Power door mirrors, Power driver seat, Power Liftgate, Power passenger seat, Power steering, Power Tilt/Telescoping Steering Wheel, Power windows, Premium audio system: Sony, Radio data system, Radio: Premium Sound from Sony, Radio: Sony Audio System, Rain-Sensing Wipers (Front Only), Rear air conditioning, Rear anti-roll bar, Rear reading lights, Rear seat center armrest, Rear window defroster, Rear window wiper, Remote Control Front Windows, Remote keyless entry, Roof rack: rails only, Security system, Speed control, Speed-sensing steering, Speed-Sensitive Wipers, Split folding rear seat, Spoiler, Steering wheel mounted audio controls, SYNC 3 Communications & Entertainment System, Tachometer, Telescoping steering wheel, Tilt steering wheel, Traction control, Trip computer, Turn signal indicator mirrors, Twin Panel Moonroof, Universal Garage Door Opener (UGDO), Variably intermittent wipers. *Price does not include any dealer installed options. Some rebates require qualification. Price applies to retail and finance. Not all rebates can be combined with 0% financing. Price includes: $2,000 - Retail Customer Cash. Exp. 07/01/2019, $1,000 - Ford Credit Retail Bonus Customer Cash. Exp. 07/01/2019, $500 - Select Inventory Retail Customer Cash. Exp. 07/01/2019 $6,976 off MSRP! 2019 Ford Explorer XLT Citrus Motors Ford, Where No Pressure Means A Great Deal! Call to confirm availability and setup your appointment today! 888-399-0475. We are located at: 1375 S Woodruff Way Ontario, CA 91761 www.CitrusFord.com. 3.39 Non-Limited-Slip Axle Ratio, 3rd row seats: split-bench, 4-Wheel Disc Brakes, 6 Speakers, 8-Way Power Passenger Seat, ABS brakes, ActiveX Seating Material Heated Front Bucket Seats, Air Conditioning, AM/FM radio: SiriusXM, AM/FM Stereo, Brake assist, Bumpers: body-color, Compass, Delay-off headlights, Driver door bin, Driver vanity mirror, Dual front impact airbags, Dual front side impact airbags, Electronic Stability Control, Emergency communication system: 911 Assist, Equipment Group 201A, Exterior Parking Camera Rear, Four wheel independent suspension, Front anti-roll bar, Front Bucket Seats, Front Center Armrest, Front License Plate Bracket, Front reading lights, Fully automatic headlights, Heated door mirrors, Illuminated entry, Knee airbag, Leather steering wheel, Low tire pressure warning, Occupant sensing airbag, Outside temperature display, Overhead airbag, Overhead console, Panic alarm, Passenger door bin, Passenger vanity mirror, Power door mirrors, Power driver seat, Power passenger seat, Power steering, Power windows, Radio: AM/FM Stereo w/7 Speakers, Rear air conditioning, Rear anti-roll bar, Rear Parking Sensors, Rear reading lights, Rear seat center armrest, Rear window defroster, Rear window wiper, Remote keyless entry, Roof rack: rails only, Security system, Speed control, Speed-sensing steering, Speed-Sensitive Wipers, Split folding rear seat, Spoiler, Steering wheel mounted audio controls, SYNC Communication & Entertainment System, Tachometer, Telescoping steering wheel, Tilt steering wheel, Traction control, Trip computer, Unique Cloth Bucket Seats, Variably intermittent wipers, Wheels: 18" 5-Spoke Sparkle Silver-Painted Alum, XLT Technology Feature Bundle. *Price does not include any dealer installed options. Some rebates require qualification. Price applies to retail and finance. Not all rebates can be combined with 0% financing. Price includes: $2,000 - Retail Customer Cash. Exp. 07/01/2019, $1,000 - Ford Credit Retail Bonus Customer Cash. Exp. 07/01/2019, $500 - Select Inventory Retail Customer Cash. Exp. 07/01/2019 $6,801 off MSRP! 2019 Ford Explorer XLT Citrus Motors Ford, Where No Pressure Means A Great Deal! Call to confirm availability and setup your appointment today! 888-399-0475. We are located at: 1375 S Woodruff Way Ontario, CA 91761 www.CitrusFord.com. 3.39 Non-Limited-Slip Axle Ratio, 3rd row seats: split-bench, 4-Wheel Disc Brakes, 6 Speakers, ABS brakes, ActiveX Seating Material Heated Front Bucket Seats, Air Conditioning, Alloy wheels, AM/FM radio: SiriusXM, AM/FM Stereo, Brake assist, Bumpers: body-color, Compass, Delay-off headlights, Driver door bin, Driver vanity mirror, Dual front impact airbags, Dual front side impact airbags, Dual-Zone Electronic Automatic Temperature Ctrl, Electronic Stability Control, Emergency communication system: 911 Assist, Equipment Group 201A, Exterior Parking Camera Rear, Four wheel independent suspension, Front anti-roll bar, Front Bucket Seats, Front Center Armrest, Front License Plate Bracket, Front reading lights, Fully automatic headlights, Heated door mirrors, Illuminated entry, Knee airbag, Leather steering wheel, Low tire pressure warning, Occupant sensing airbag, Outside temperature display, Overhead airbag, Overhead console, Panic alarm, Passenger door bin, Passenger vanity mirror, Power door mirrors, Power driver seat, Power passenger seat, Power steering, Power windows, Rear air conditioning, Rear anti-roll bar, Rear Parking Sensors, Rear reading lights, Rear seat center armrest, Rear window defroster, Rear window wiper, Remote keyless entry, Roof rack: rails only, Security system, Speed control, Speed-sensing steering, Speed-Sensitive Wipers, Split folding rear seat, Spoiler, Steering wheel mounted audio controls, SYNC Communication & Entertainment System, Tachometer, Telescoping steering wheel, Tilt steering wheel, Traction control, Trip computer, Unique Cloth Bucket Seats, Variably intermittent wipers. *Price does not include any dealer installed options. Some rebates require qualification. Price applies to retail and finance. Not all rebates can be combined with 0% financing. Price includes: $2,250 - Retail Customer Cash. Exp. 07/01/2019, $500 - Select Inventory Retail Customer Cash. Exp. 07/01/2019 $5,990 off MSRP! 2019 Ford Transit-250 Citrus Motors Ford, Where No Pressure Means A Great Deal! Call to confirm availability and setup your appointment today! 888-399-0475. We are located at: 1375 S Woodruff Way Ontario, CA 91761 www.CitrusFord.com. 2 Additional Keys (4 Total), 3.73 Axle Ratio, 3.73 Axle Ratio w/99G or 99V, 4 Front Speakers, 4 Speakers, 4-Wheel Disc Brakes, 6 Speakers (4 Front/2 Rear), ABS brakes, Air Conditioning, AM/FM radio, AM/FM Stereo, Brake assist, Cloth Front Bucket Seats, Cruise Control w/Message Center, Driver door bin, Driver's Seat Mounted Armrest, Dual front impact airbags, Dual front side impact airbags, Electronic Stability Control, Exterior Parking Camera Rear, Fixed Rear-Door Glass, Front & Rear Vinyl Floor Covering, Front anti-roll bar, Front Bucket Seats, Front License Plate Bracket, Front reading lights, Front wheel independent suspension, Illuminated entry, Interior Upgrade Package, Low tire pressure warning, Occupant sensing airbag, Order Code 101A, Overhead airbag, Overhead console, Panic alarm, Passenger cancellable airbag, Passenger door bin, Pewter Cloth Dual Bucket Seats, Pewter Vinyl Dual Bucket Seats, Power door mirrors, Power steering, Power windows, Radio: AM/FM Stereo w/Single CD/SYNC, Remote keyless entry, Short-Arm Power Mirrors, Tachometer, Telescoping steering wheel, Tilt steering wheel, Traction control, Variably intermittent wipers, Vinyl Front Bucket Seats, Vinyl Sun Visors, Wheels: 16" Steel w/Black Center Hubcap. *Price does not include any dealer installed options. Some rebates require qualification. Price applies to retail and finance. Not all rebates can be combined with 0% financing. Price includes: $1,500 - Retail Customer Cash. Exp. 07/01/2019 $2,494 off MSRP! 2019 Ford Mustang EcoBoost Citrus Motors Ford, Where No Pressure Means A Great Deal! Call to confirm availability and setup your appointment today! 888-399-0475. We are located at: 1375 S Woodruff Way Ontario, CA 91761 www.CitrusFord.com. 4-Wheel Disc Brakes, 6 Speakers, ABS brakes, Air Conditioning, Alloy wheels, AM/FM radio, AM/FM Stereo, Auto-dimming Rear-View mirror, Brake assist, Bumpers: body-color, Cloth Bucket Seats, Compass, Delay-off headlights, Driver door bin, Driver vanity mirror, Dual front impact airbags, Dual front side impact airbags, Electronic Stability Control, Emergency communication system: 911 Assist, Equipment Group 100A, Exterior Parking Camera Rear, Four wheel independent suspension, Front anti-roll bar, Front Bucket Seats, Front Center Armrest, Front reading lights, Fully automatic headlights, Illuminated entry, Knee airbag, Leather Shift Knob, Low tire pressure warning, Occupant sensing airbag, Outside temperature display, Overhead airbag, Overhead console, Panic alarm, Passenger door bin, Passenger vanity mirror, Power door mirrors, Power steering, Power windows, Radio data system, Rear anti-roll bar, Rear window defroster, Remote keyless entry, Security system, Speed control, Speed-sensing steering, Speed-Sensitive Wipers, Split folding rear seat, Steering wheel mounted audio controls, SYNC Communications & Entertainment System, Tachometer, Telescoping steering wheel, Tilt steering wheel, Traction control, Trip computer, Variably intermittent wipers, Voltmeter, Wheels: 17" Sparkle Silver-Painted Aluminum. *Price does not include any dealer installed options. Some rebates require qualification. Price applies to retail and finance. Not all rebates can be combined with 0% financing. Price includes: $1,500 - Retail Customer Cash. Exp. 07/01/2019 $3,194 off MSRP! 2019 Ford Mustang EcoBoost Citrus Motors Ford, Where No Pressure Means A Great Deal! Call to confirm availability and setup your appointment today! 888-399-0475. We are located at: 1375 S Woodruff Way Ontario, CA 91761 www.CitrusFord.com. 4-Wheel Disc Brakes, 6 Speakers, ABS brakes, Air Conditioning, Alloy wheels, AM/FM radio, AM/FM Stereo, Auto-dimming Rear-View mirror, Brake assist, Bumpers: body-color, Cloth Bucket Seats, Compass, Delay-off headlights, Driver door bin, Driver vanity mirror, Dual front impact airbags, Dual front side impact airbags, Electronic Stability Control, Emergency communication system: 911 Assist, Equipment Group 100A, Exterior Parking Camera Rear, Four wheel independent suspension, Front anti-roll bar, Front Bucket Seats, Front Center Armrest, Front reading lights, Fully automatic headlights, Illuminated entry, Knee airbag, Leather Shift Knob, Low tire pressure warning, Occupant sensing airbag, Outside temperature display, Overhead airbag, Overhead console, Panic alarm, Passenger door bin, Passenger vanity mirror, Power door mirrors, Power steering, Power windows, Radio data system, Rear anti-roll bar, Rear window defroster, Remote keyless entry, Security system, Speed control, Speed-sensing steering, Speed-Sensitive Wipers, Split folding rear seat, Steering wheel mounted audio controls, SYNC Communications & Entertainment System, Tachometer, Telescoping steering wheel, Tilt steering wheel, Traction control, Trip computer, Variably intermittent wipers, Voltmeter, Wheels: 17" Sparkle Silver-Painted Aluminum. *Price does not include any dealer installed options. Some rebates require qualification. Price applies to retail and finance. Not all rebates can be combined with 0% financing. Price includes: $1,500 - Retail Customer Cash. Exp. 07/01/2019 $3,091 off MSRP! 2019 Ford Mustang EcoBoost Citrus Motors Ford, Where No Pressure Means A Great Deal! Call to confirm availability and setup your appointment today! 888-399-0475. We are located at: 1375 S Woodruff Way Ontario, CA 91761 www.CitrusFord.com. 4-Wheel Disc Brakes, 6 Speakers, ABS brakes, Air Conditioning, Alloy wheels, AM/FM radio, AM/FM Stereo, Auto-dimming Rear-View mirror, Brake assist, Bumpers: body-color, Cloth Bucket Seats, Compass, Delay-off headlights, Driver door bin, Driver vanity mirror, Dual front impact airbags, Dual front side impact airbags, Electronic Stability Control, Emergency communication system: 911 Assist, Equipment Group 100A, Exterior Parking Camera Rear, Four wheel independent suspension, Front anti-roll bar, Front Bucket Seats, Front Center Armrest, Front reading lights, Fully automatic headlights, Illuminated entry, Knee airbag, Leather Shift Knob, Low tire pressure warning, Occupant sensing airbag, Outside temperature display, Overhead airbag, Overhead console, Panic alarm, Passenger door bin, Passenger vanity mirror, Power door mirrors, Power steering, Power windows, Radio data system, Rear anti-roll bar, Rear window defroster, Remote keyless entry, Security system, Speed control, Speed-sensing steering, Speed-Sensitive Wipers, Split folding rear seat, Steering wheel mounted audio controls, SYNC Communications & Entertainment System, Tachometer, Telescoping steering wheel, Tilt steering wheel, Traction control, Trip computer, Variably intermittent wipers, Voltmeter, Wheels: 17" Sparkle Silver-Painted Aluminum.